US President Barack Obama continued his tour of Brazil with a stop at the 'City of God' (Cidade de Deus) favela. The shantytown is one of several "pacified" under a programme to reduce violence in the city. The programme involves the deployment of a permanent police presence, known as the Police Pacification Units (UPP), that aim to drive out the drug traffickers who control the slums. 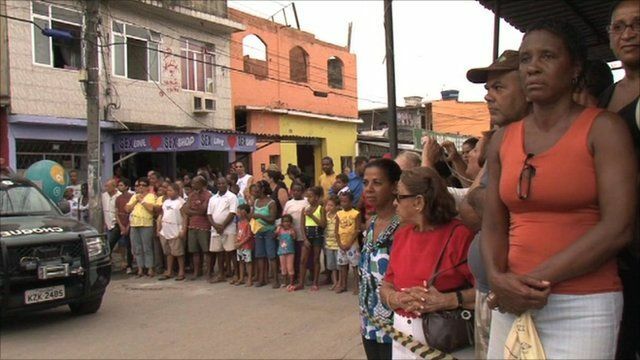 The BBC's Paulo Cabral spoke to the residents of the City of God as they waited for Obama's arrival.